Starting in April/May when real estate data starts to hit the market Sellers think it is the best time to list.. It's the herd mentality... Hey look my neighbors house is sold... should we list ours and the signs start to pop up. Currently in the market we are seeing busy open houses, multiple offers and price increases. 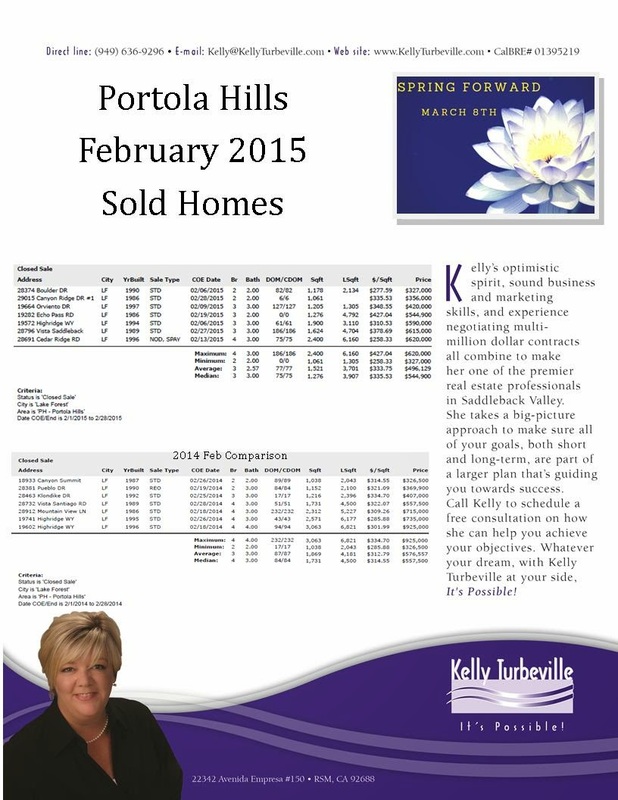 If you are considering selling your Portola Hills home, let's sit and create a strategy to ensure you take advantage of the best timing the market offers. Below is a look at what sold in last month compared to 2014. The exact number of homes sold but the price per square foot for the area did jump. Mix is always important to look at but the average home in 2014 sold for $313 per sq. ft and in 2015 it sold for $334 per sq. ft.